You can easily create custom menus within your WordPress Dashboard. By default, all of your menu items will always open in the same browser tab (window). Sometimes you may want to open a menu item in a new tab (window). 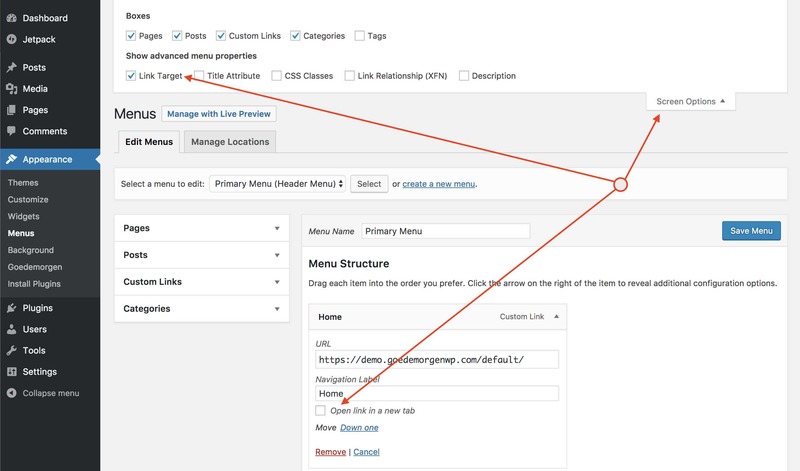 The good news is that WordPress comes with an option that allows to open your menu items in a new browser tab (window) without using any plugins. First of all, you will need to enable the Link Target functionality by clicking on the Screen Options in the top right corner of the screen. In the Screen Options menu, make sure the Link Target option is checked. Once it's checked, each of your menu items will have an option to open the link in a new tab (window).